In Massachusetts, I am often asked about the difference between Separate Support and Divorce. Actions for Separate Support and Divorce are two very distinct options that are separate filings in the Probate & Family Court. It is important to understand the differences between the two options in order for you to make an informed decision for you and your family. Separate support is court-ordered support from your spouse, awarded in a lawsuit specifically for separate support. You can file for separate support in the Probate and Family Court even when you are not asking for a divorce, but you are only seeking support for yourself or your children. If you seek separate support, you are telling the Court that, for some reason, your spouse has deserted you and/or is not supporting you (and has no basis for doing so). At the time of filing, you may, or may not, be living with your spouse but you have cause to live separately. 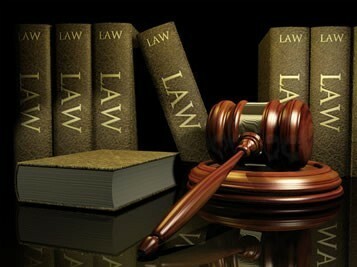 You may also ask the Court for certain orders regarding health insurance, division of assets and freedom of restraint. There is neither a legal separation of the parties nor a termination of the marriage. 4) That you have justifiable cause for living separate (yet may no, in fact, be living separately). 7) All other relief that is necessary in your case. If you file for a Divorce, you are telling the Court that, for some reason, you no longer want to be married to your spouse. You often ask the Court for similar orders and remedies as in separate support action, perhaps first on a temporary basis but certainly on a permanent basis. However, in a divorce action, ultimately, every asset is divided, every issue is resolved and the marriage is legally terminated. Often clients are confused as to whether or not they ought to file for separate support or file for divorce. At times, filing for separate support can be an extra step and wasteful in time, energy and money for the parties. You may very well be able to file a complaint for divorce, never having first filed the complaint for separate support, and accomplish your goals. It is also important to know that you may seek separate support and later move to amend the matter to obtain a divorce. However, you do not necessarily have to do this. It is a choice that you make given the details of your matter. Knowing your options is the first step to making the right choices. Every family situation is different. Every individual has different needs. Make sure that the option you choose is the one that suits you best. Consult with us to determine what is best for you.